NEW YORK – A pair of subway trains derailed Tuesday morning in Manhattan. It is the latest incident that has affected New York commuters this year. Authorities said a southbound train scraped against the tunnel wall shortly before 10 a.m., causing the two cars to shift off the tracks in Harlem. According to CBS New York, at least seven passengers suffered injuries. An MTA spokesperson downplayed the injuries as ‘minor,’ but similar incidents have resulted in long-lasting pain and frustration for passengers. In many cases, passengers may not experience pain associated with an injury for days – even weeks following a New York City train derailment. Attorneys say the collisions and sudden jolts can often cause injuries to the head, neck, and spine. “I don’t want to get back on the train – for a long time,” Michelle Ayoub told CBS reporter Emily Smith. It is unclear how fast the train was going, or what caused it to scrape against the side of the tunnel, but these are facts that could be answered with an extensive legal investigation. A New York train accident lawyer says there are often a variety of factors that lead to a derailment, and every possible piece of evidence should be examined to help injured passengers recover the best results possible. New York train derailment attorneys say when an injured passenger files a claim, it can also place pressure on the railroad companies to make structural or mechanical changes that can improve the safety of future passengers. NEW YORK – Dozens were injured on the New Jersey Turnpike in the overnight hours when a tractor-trailer and a tour bus collided near West Deptford, New Jersey. Officials told ABC 6 News in Philadelphia that the crash happened at 12:30 a.m. Friday morning in the southbound lanes. Destined for Atlanta, there were 50 people on the Panda Tour Bus that departed from New York. Current reports estimate that over 30 of those passengers were injured, and taken to area hospitals. It is unclear what caused the crash, but many riders told reporters about their experience, including Dwight Baylor of Brooklyn and Lucy Mongy of Harlem. Lucy Mongy said she heard several ‘booms’ before the bus rolled over. Driver records for both the bus driver and the truck driver. An analysis of the vehicles involved. Sometimes faulty brakes, poorly inspected tires or other defects can be factors in crashes like this. Poor road conditions or unsafe infrastructure can also contribute to an accident. Expert medical analysis are also important records that can help those who were injured in the crash obtain fair compensation. An experienced New York bus accident lawyer can immediately start a legal investigation to cover these possible factors, and more. A complete analysis of the vehicles involved, driver records, road conditions, and expert statements can be extremely useful for passengers seeking compensation after a New Jersey bus crash. Did the truck pass safety inspections? Was there anything wrong with the bus? Were the drivers well trained? Did the truck or bus pass safety inspections? Recent studies have found that fatigue can play a major role in many truck and bus accidents. New York bus accident attorneys say this possible factor should be considered due to the timing and location of Friday’s accident. New York bus accident lawyers will not only help injured passengers and their families obtain compensation – they can also analyze the crash and uncover ways that future accidents can be minimized or prevented. BUFFALO, N.Y. – A new study has uncovered shocking data on nursing home care: premature deaths have spiked by over 400-percent in recent years, and nearly all of these accidents are preventable. According to the research, conducted by Monash University, more than 80-percent of the deaths were from slips and falls. A common cause of injury in U.S. care facilities, a nursing home injury lawyer at Cellino & Barnes says the accidents are often preventable with the proper tools, staff, and training. Not only are accidents common in some nursing homes, but violence is also rampant. Monash researchers found that 1 in 18 of the recorded preventable deaths listed ‘assault’ or ‘suicide’ as a contributing factor. While falls are the most common nursing home injury, there are many other accidents that can cause severe harm or death. From assault to providing the wrong medication, almost all accidents are preventable. Nursing homes have a duty to provide a safe environment for its residents, and most have excellent safety records. However, the quality of care can be shockingly different from one facility to another. Cellino & Barnes developed the Parent Care app, which can be downloaded on the Apple App Store or on Google Play, to help families research and compare nearby nursing homes. The app collects real-time data and analyzes each facility for key safety factors. 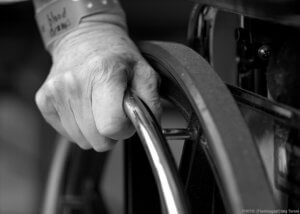 The firm also assists families who have suffered an injury or loss due to nursing home negligence. With offices across New York, the nursing home injury lawyers at Cellino & Barnes have handled cases in all 50 states, and they’ve helped their clients recover over $2 billion in settlements and verdicts. If you believe a family member could be the victim of nursing home negligence or abuse, call the nursing home attorneys at Cellino & Barnes for a FREE case evaluation.